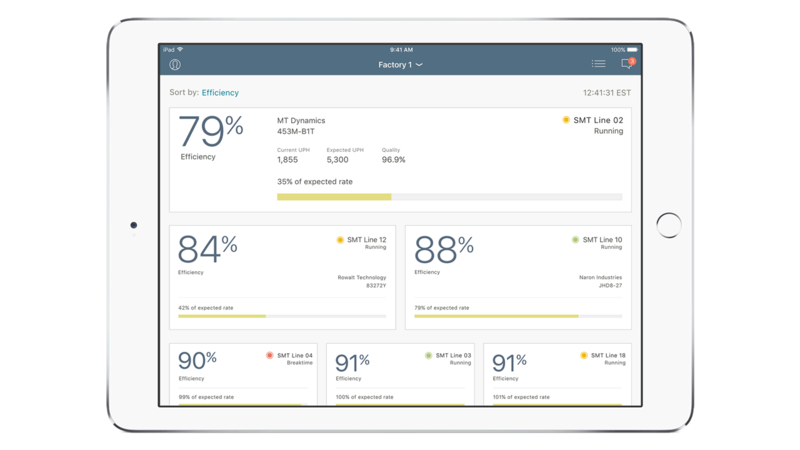 IBM MobileFirst for iOS Expert Factory offers real-time insights into equipment state and alarms. Get access to real-time analytics on equipment usage data, alarms and sensor data. By using analytics, there is less reliance on people to respond to equipment alarms – raising overall efficiency. Predictive Maintenance and Quality (PMQ) analytics provides real-time information so production engineers can respond instantly to inefficiencies – and changes in production demands. The app also detects anomalies, power image recognition and analysis – and gives recommendations for optimization. FaceTime allows production engineers to collaborate with coworkers on actions. The camera and augmented reality capabilities allow the production engineer to identify equipment and report issues. Notifications alert the production engineer instantly of errors, issues and warnings. iBeacon and geo-fencing empowers production engineers to manage access rights to production lines and equipment. Touch ID authentication and identification enhances security and privacy. Increase communication between the supply chain and factory floor.